Rents Are Up In a Good Market and are Up in Down Market..! You’d think the opposite would be true but it’s not. It’s amazing when you think about it, but after watching the video that I’m going to post below, I realized these guys are right. When the Real Estate Sales market is “hot” rents go up. But, even in a down turn, the rent rates still go up. Messrs Brian Stevens and Frank Garay are a couple of loan guys that do a lot of video updates about the Real Estate Loan market, Real Estate Sales and about some of the “inside baseball” stuff for those of us in the business. Our Property Management company is now leasing up Units in Apartment complexes, Duplexes and Single Family Homes for record high rental amounts and many times with “multiple applications”. So after taking a peek at their video that I got today, I thought I’d share it with you because their conclusion about rents going up in good and bad markets is something I had not thought of. You can skip the beginning of the video if you want to and go to the 3.43 minute mark to see their presentation that includes an interesting graph to make their point. If you are thinking of Investing in a Residential Rental property such as a Duplex or a Four-Plex, a Small Apartment complex or even a Single Family home….? Then, call me at 916-203-1260 or drop a note my way at favinger@rwnetwork.com. I’ll bring you up to speed on our local market with comparable sales information and also what you can expect to earn in rents. 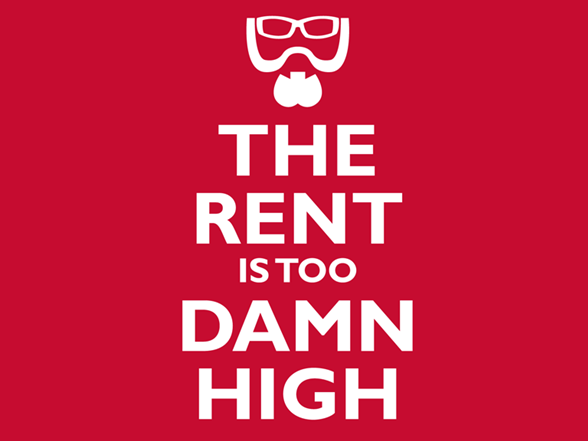 In An Improving Economy – Not Enough Homes – Creates Higher Prices & Rents. If you’re a San Francisco Bay Area home owner or investor and looking for a place to move to or invest in, you can’t really beat the Sacramento Area. Prices and rents have gone up but are still a bargain when you compare them with Santa Clara, Contra Costa, San Mateo, Alameda and San Francisco Counties. Just take a peek at what you can buy here in Folsom and compare that where you live in the Bay Area. If you’re an investor, you can still get a decent Duplex or Four-plex for under $400,000 and have a “cash flow” which is unheard of in the Bay Area now. Foreign Investors are just parking their money in the Bay Area in hopes of higher appreciation down the line, but they don’t have a decent cash flow return in the mean time. I thought I’d pass on this article from the East Bay Times. Maybe it’s time to Move here and/or Invest here…? And Finally…. The two things we don’t have as bad as the Bay Area….? 1. No Rent Control… 2 And Bay Area “traffic”.